Finding affordable Christmas gifts can be extremely hard. Especially when you're finding a Kris Kringle gift that's under $20. You want to find something that's cheap money wise, without looking cheap. 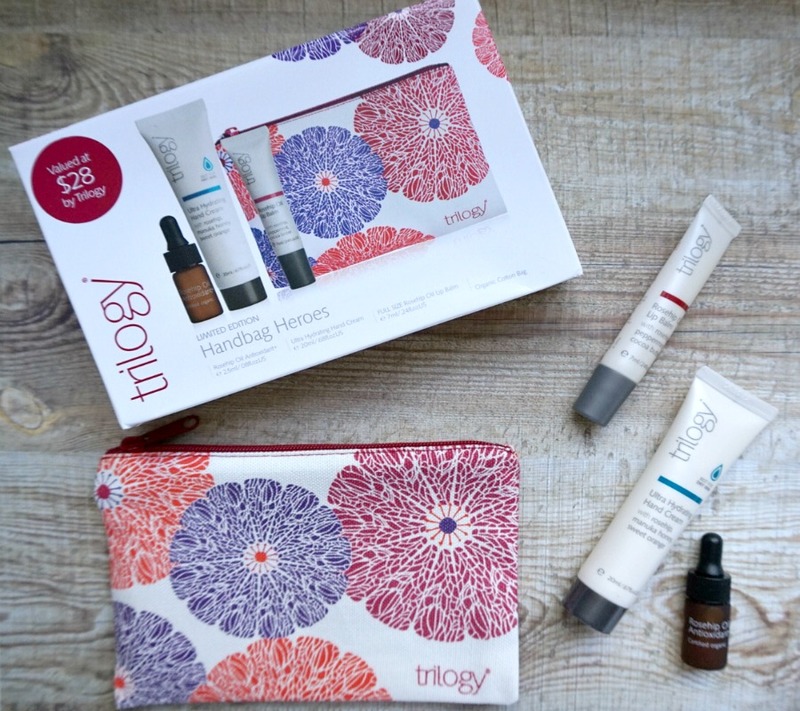 Trilogy have a few gift packs available this year, but the "Handbag Heros" stuck out to me for 2 reasons. It's in colourful packaging that doesn't scream Christmas, so it's a good gift to also give someone for a non Christmas related reason. Secondly it's under $20 which means you don't have to break the bank. In the pack there's a Rosehip Oil Lip Balm (7ml), an Ultra Hydrating Hand Cream (20ml) and a super cute Rosehip Oil Antioxiant+ rosehip oil. It also comes with a beautiful small pouch to keep in your handbag. The lip balm is beautiful. It's really hydrating and has a gorgeous peppermint scent. The hand cream is light and sinks into my skin really quickly. And lastly their rosehip oil is a cult product and once you've tried it, you'll know why. I love using this on myself and my daughters when they've got a red, sore nose when they have a cold. For only $19.99, you can't go wrong with this gift! You can purchase this pack online here or find your local stockist here. I contemplated getting this for myself but... I don't need another hand cream haha! This would make a lovely little gift from a nice brand. Well, well, well, they are def great gift ideas that are so affordable and pretty as well. Now I know what I will give to my girlfriends.